View More In Tire Accessories & Parts. Auto‑Trac can be installed without moving (or jacking up) the vehicle! The patented, ratcheting tightening system automatically tightens the chain while driving. Just connect the inside cable, attach the two outside selftighteners and drive! 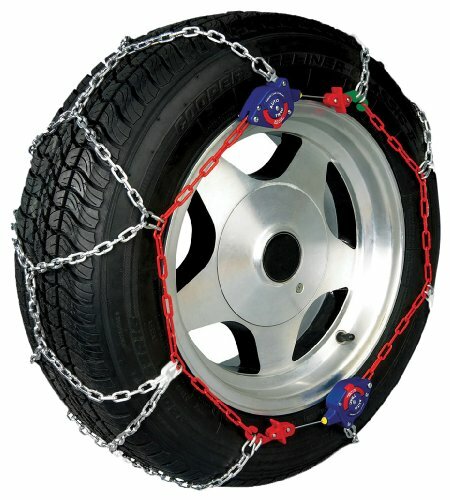 No additional chain tensioners are necessary or recommended. Auto‑Trac will meet Class “S” clearance requirements on SUVs and pickup trucks, as well as normal passenger cars (matching the capabilities of most of our “Z” cable products). This is possible because of a highly effective, patented tensioning system. Auto‑Trac cross member links are made of manganese alloy steel, allowing them to be shorter, narrower and lighter than conventional cross members. This reduces “fly‑off” during operation and provides more gripping points. The low‑mass “D” cross section of the links also contributes to longer wear because the impact of the cross members on the road surface is reduced and the surface area contacting the road is increased. If you have any questions about this product by Security Chain, contact us by completing and submitting the form below. If you are looking for a specif part number, please include it with your message.